Betye Irene Saar (born July 30, 1926 in Los Angeles, California) is an American artist, known for her work in the field of assemblage. Saar was a part of the black arts movement in the 1970s, challenging myths and stereotypes. 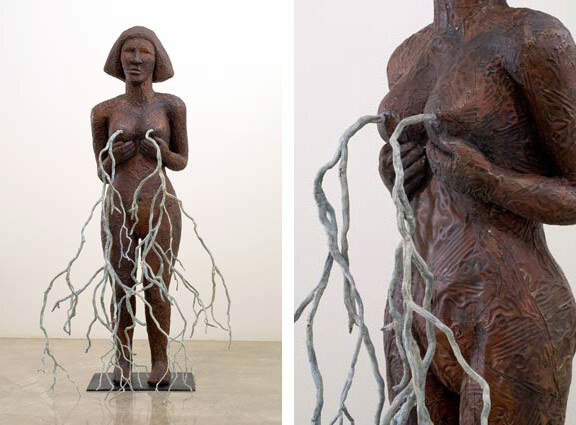 In the 1990s, her work was politicized while she continued to challenge the negative ideas of African-Americans. One of her better-known and controversial pieces is titled “The Liberation of Aunt Jemima.” It is a “mammy” doll carrying a broom in one hand and a shotgun in the other, and placed in front of the syrup labels. 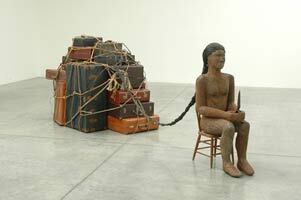 Her work began with found objects arranged in boxes or windows. The items would reflect her mixed ancestry. Born Betye Irene Brown, to parents Jefferson Maze Brown and Beatrice Lillian Parson, Saar spent her early years in Los Angeles, spending summers with her paternal grandmother in Watts, California. After her father’s death in 1931, Saar, along with her mother and younger brother and sister, moved in with her maternal great-aunt Hattie Parson Keys and her husband Robert Keys in Pasadena, California. Saar’s college education began at Pasadena City College and then moved to the University of California, Los Angeles in 1947, where she received a degree in design in 1949. Saar went on to graduate studies, from 1959-1962, completing work at California State University, Long Beach; University of Southern California; and California State University, Northridge. Her interest in assemblage was inspired by a 1967 exhibition by Joseph Cornell, though she also cites the influence of Simon Rodia’s Watts Towers, which she witnessed being built in her childhood. She began creating work typically consisting of found objects arranged within boxes or windows, with items drawing on various cultures reflecting Saar’s own mixed ancestry: African-American, Irish, and Native American. In the late 1960s, Saar began collecting images of Aunt Jemima, Uncle Tom, Little Black Sambo, and other stereotyped African-American figures from folk culture and advertising. She incorporated them into collages and assemblages, transforming them into statements of political and social protest. 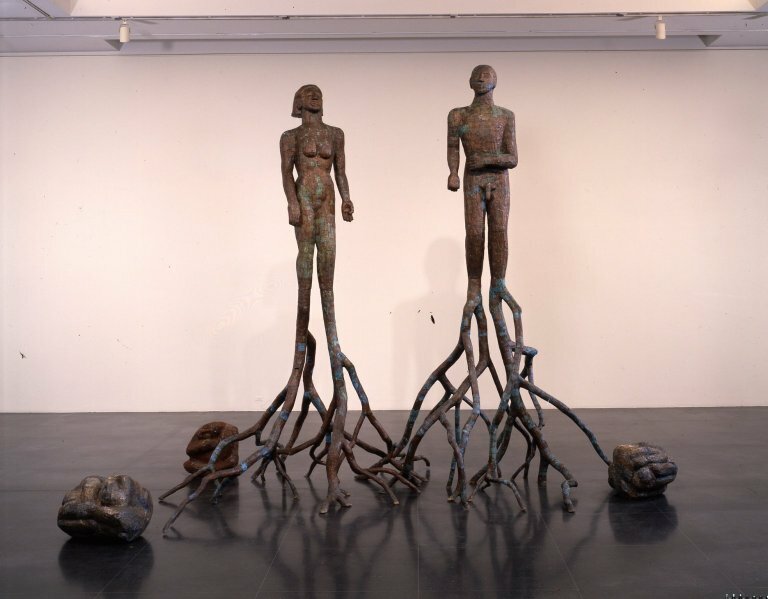 In the 1970s Saar shifted focus again, exploring ritual and tribal objects from Africa as well as items from African-American folk traditions. In new boxed assemblages, she combined shamanistic tribal fetishes with images and objects intended to evoke the magical and the mystical. When her great-aunt died, Saar became immersed in family memorabilia and began making more personal and intimate assemblages that incorporated nostalgic mementos of her great-aunt’s life. She arranged old photographs, letters, lockets, dried flowers, and handkerchiefs in shrinelike boxes to suggest memory, loss, and the passage of time. In the early 1980s, Saar taught in Los Angeles at the University of California and the Otis Art Institute now called Otis College of Art and Design. In her own work she began using a larger, room-size scale, creating site-specific installations, including altar-like shrines exploring the relationship between technolo gy and spirituality, and incorporating her interests in mysticism and Voodoo. Pairing computer chips with mystical amulets and charms, these monumental constructions suggested the need for an alliance of both systems of knowledge: the technical and the spiritual. 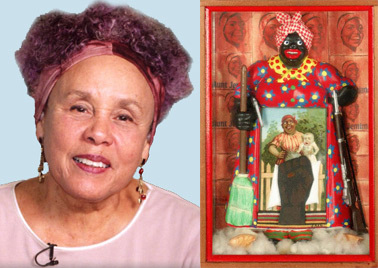 Betye Saar continues to live and work in Los Angeles. She has been awarded honorary doctorate degrees by California College of Arts and Crafts, California Institute of the Arts, Massachusetts College of Art, Otis College of Art and Design, and San Francisco Art Institute.